For thousands of years, builders’ and architects’ visions were confined not by their imaginations, but by their very own hands—and what they could depict. It’s easy to draw a line because all you need is a straightedge. Ditto for a circle because all you need is a compass. But from there, things start to get complex. For an ellipse—if you’re not using a computer—you need two pins, a pencil, and a couple pieces of string. So the more complex the form, the less likely it was to be drawn or built because, well, it was just hard to do. It’s never been very easy to work within the confines of complex geometry—especially if you want to design something curvy or sinuous in form. There are a few examples of builders and architects that really took on the challenge before the digital age, though. 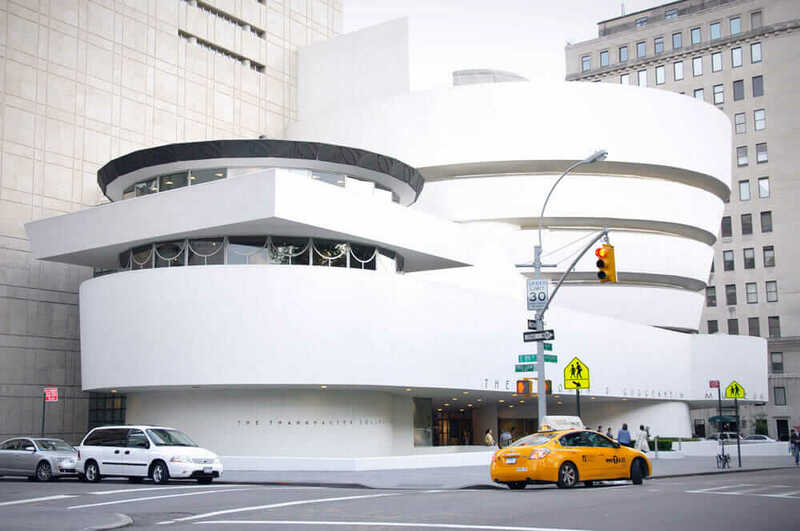 Consider Frank Lloyd Wright’s Guggenheim Museum in New York City. It was groundbreaking in scope and ambition, and no easy thing to build, either. But about 20 years after the construction of the Guggenheim, personal computers came along. It became much easier for any architect to generate geometry; Guggenheim spirals were within reach. In fact, not only could you generate traditional Euclidean geometry, but computers also made doing all of the creative, complex, and truly “out-of-the-box” ideas much, much easier to design and create for any product—whether a building, mechanical component, or consumer good. This is pretty much where things stand today. But, once again, technology is reinventing how things are created—and even geometry itself. With all of the amazing digital technology available today, it’s easy to think most of the innovation is over or at least slowing down. Not by a long shot. Instead of using a computer to “draw geometry” with ease, this is the new reality: Tell the computer what should be achieved. This is a huge shift in how to approach design. Here’s a prime example. Say I’m designing a house and the client tells me, “I want four bedrooms and a big living room, and it’s on a triangularly shaped site.” Sounds great. I have my big site plan and I’m on the computer. I might draw four bedrooms as four squares and then arrange them in different configurations. 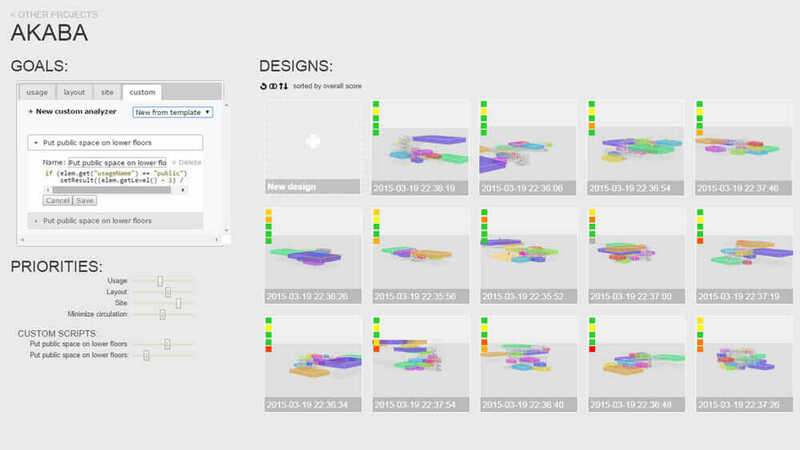 Autodesk’s Project Akaba approaches design problems in a manner similar to the building professional, applying spatial requirements and rule sets to create visually compelling space-planning proposals that support project goals. From there, the computer generates the geometry and arrangements that solve for all of these constraints—instantaneously. Think of this as a kind of generative architecture. Options I may never had thought of pursuing . . . or maybe some I wouldn’t want to create, either. It’ll be taking the good with the bad. This is the next design phase: Design will not be based just on geometric principles, but on the rules set. Design expands to include creating and refining the rules for generation, followed by selection and refinement. But iteration—creating all those original ideas—is much more expansive and exciting. There are quite a few experimental projects pushing this vision into reality. Dynamo, an open-source tool for visual programming of design, is a great example of where I see the future of computational design. 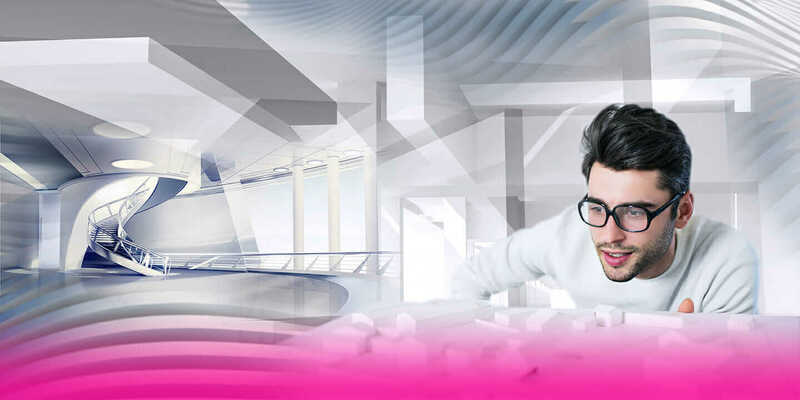 Basically, it’s a rule-making engine that applies to Autodesk Revit and is especially useful for BIM. Example of visual programming in design. Project made in Dynamo, Autodesk Robot Structural Analysis Professional 2016, and Autodesk Revit. Design and the tools used for it have never been static. It’s been an incredible 40-year run of computers fundamentally altering the nature of the design process by replicating the old geometries. It’s all changing—and it’s not just the “creative” process. Rote (and often mundane) tasks like how the pipes run through a building or the number of windows and skylights to achieve LEED certification can be automated. What an opportunity to focus less on the tedious and, instead, open design minds—all with the added benefits of time and cost savings, too. Once these rules become the basis for generating and testing designs, design becomes more effective, interesting, and fun because we can use our design brains for the most important part of the process—finding and refining the most interesting, provocative, useful, and beautiful solutions. No computer can do that, but it can certainly help. How geometry is approached will never be the same, and it’s all for the better. Name one architect who would trade her laptop for a compass! Now an entirely new world is on the verge of taking over. That’s an incredible breakthrough for the spirit of design.